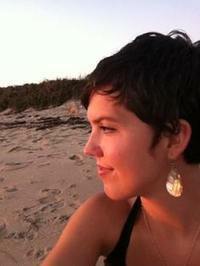 Kendra DeColo is the founding poetry editor of Nashville Review and a book editor at Muzzle Magazine. Her poems have appeared in CALYX, Muzzle Magazine, Southern India Review, Vinyl Poetry, and elsewhere. She is the recipient of scholarships and residency awards from Vermont Studio for the Arts, Bread Loaf Writers’ Conference, the Millay Colony, and Kimmel Harding Nelson Center for the Arts. She has taught poetry workshops in prisons, middle schools, homeless shelters, and hospitals. She lives in Nashville, Tennessee.